The Palmerston North Convention Centre is New Zealand’s first purpose built convention facility. Since opening in 1980 the Convention Centre has hosted an impressive roster of conferences, meetings, tradeshows, exhibitions, functions and events. Extensively redeveloped in 2001, the Palmerston North Convention Centre features sophisticated audiovisual, communications and information technology which helps organisers to produce professional events with ease and significantly reduces additional costs. 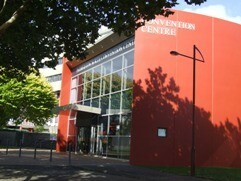 Over the past three decades the Palmerston North Convention Centre has built an enviable reputation for professionalism and service excellence that sets us apart from the competition. Our high rate of repeat business is testament to the fact that our clients' expectations have been met or exceeded. With a versatile range of function spaces able to accommodate from six to over 600 guests, the Palmerston North Convention Centre is the perfect venue for your next event.